The Ouya gaming console finally has a retail release date, and it gives enough time for the 60,000 backers to truly sink their teeth into the early reward. The date set is sometime in June, we are hoping the console has no delays, like most Kickstarters. The Ouya gaming console gained a lot of backers due to its low price and really exciting idea, to open up the TV for developers. Previously, developers had to find publishers with a good amount of money to get their game on a console. Ouya now offers the chance for any indie developer to work from their room, make a game, add it to Ouya’s SDK and run it on the Ouya platform. This type of open source design has never been seen on a TV gaming console. The Ouya gaming console will come to backers sometime in March, and we suspect the company will hit no delays, as in previous messages to the Kickstarter backers Ouya has said they don’t believe they will experience any delays. Game development on the Ouya console is still being pushed before backers get their hands on the console. The developer console shipped early to allow game programmers to take a quick peek at the SDK and try to write some simple games. Since the code is open, we believe porting will be a lot easier, so people that have added games onto Steam and other platforms will be able to simply move the game onto the Ouya platform. 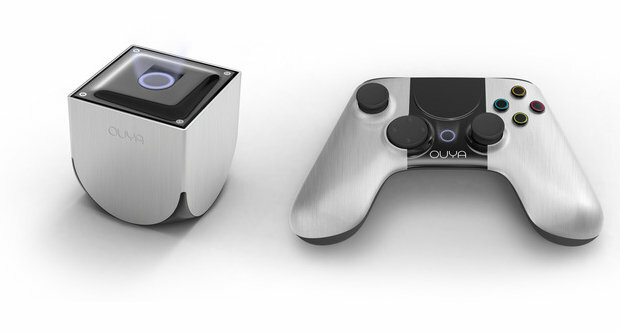 The Ouya gaming console will come to retail in June, three to four months after the backers get the console. Ouya has already said more than 68,000 people have pre-ordered the game. Priced at $99, this is a really inexpensive gaming console with a lot of promise. Android top games will be available on release, and some top titles including Minecraft. We expect developers who backed the Ouya gaming console will be hard at work designing/porting games for the console.